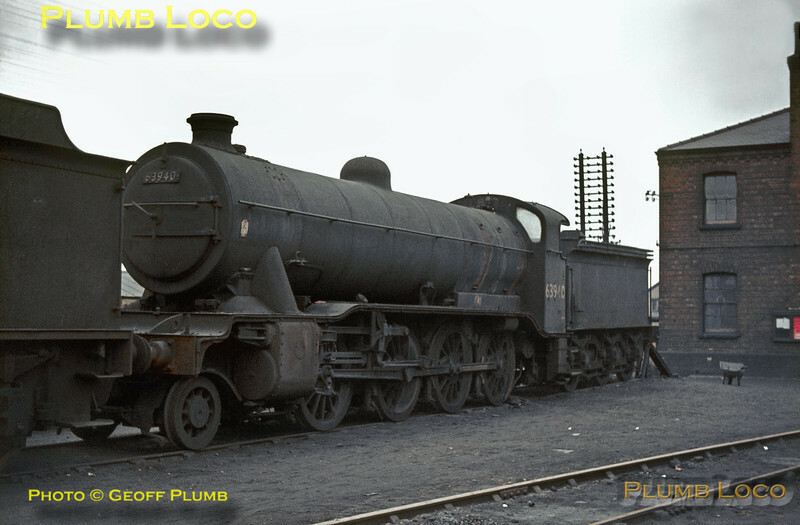 LNER Gresley class O2/2 3 cylinder 2-8-0 No. 63940 on the storage road at Doncaster MPD on Sunday 16th February 1964. It doesn't look as though it has worked for some time - did it ever work again? Built in 1924, the engine has a Great Northern Railway style cab and tender. Slide No. 517.